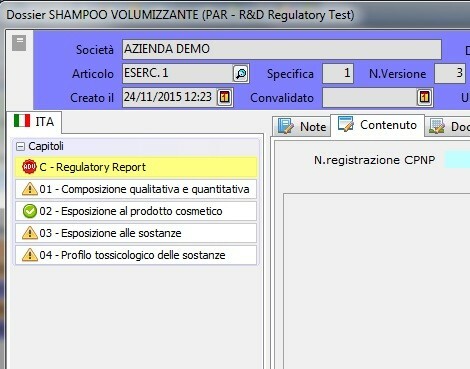 Dedicated to the Research and Development area of ​​the cosmetic industry. 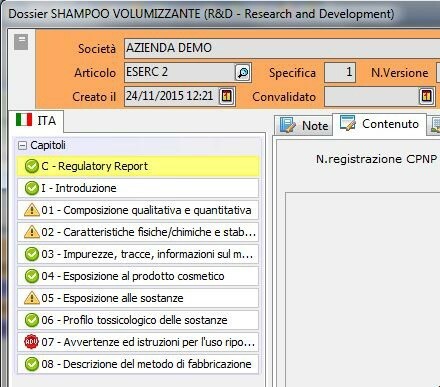 It contains all the Dossier Manager Regulatory tools, allowing the optimization of the Research and Development process. 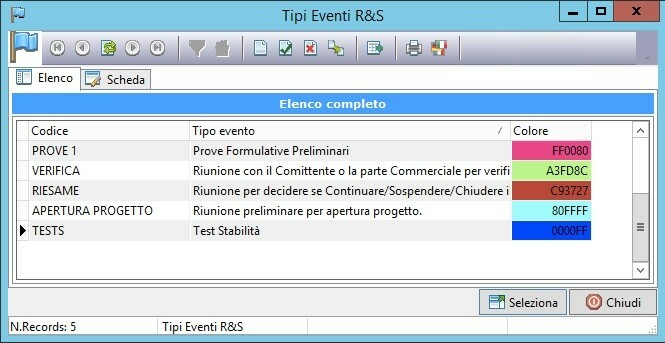 The Regularory Test and Black List management phases are dealt with simply and automatically at the beginning of the process. Normally Dossier Manager deals with managing INCI Restrictions within the European legislation. 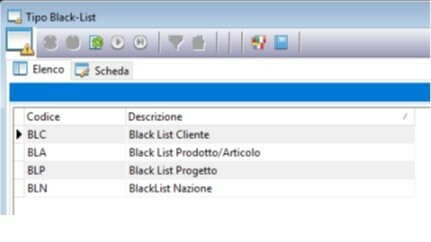 But often there is the need to indicate other types of restrictions, the so-called Black List. These Black List are determined by business decisions and by parties other than the European community such as foreign nations, customers or particular suppliers. Management of INCI restrictions of the Black List type. The mask of restrictions, within the Inci Dictionary, is enriched with new fields to manage the object of the restriction. 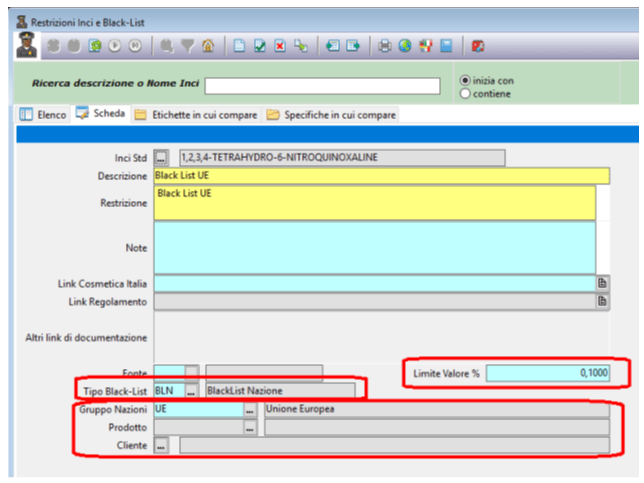 The Limit Value % field indicates the threshold within which the Black-List is tolerated: normally the field contains the value 100%, but if there is a threshold limitation the value must be indicated. 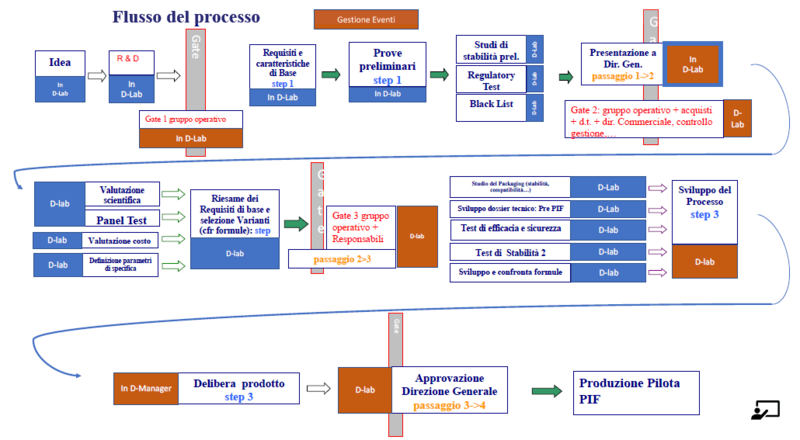 The "Regulatory test" structure can be chosen among different Dossier formats, already prepared, differentiated according to the desired level of study (for example 4 or 8 chapters), which we will choose according to whether we are doing a "preliminary" study or a "pre-PIF". Each project can have multiple variations. Each variant contains more formulas. The "Compare Formulas" tool allows you to compare the compositions of the formulas, two by two, in a simple and intuitive way. In each variant the currently active formula can be defined. At the end of the process one or more "winning" formulas will pass to the "production" phase with all the documentation collected. The Project Planner allows you to manage all the activities assigned to the resources involved in a simple and intuitive way. The MILESTONE of the project are recorded and monitored throughout the process.